Join me as I document and scrabble together blogs and other bits about life as a parent and human being. 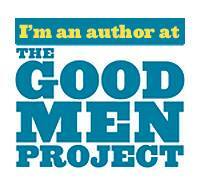 Originally posted on The Good Men Project. Bodily fluids, ethical quandaries, genitalia, racism, there are no off-limits questions in this household. “My daughter asked me if she could hit me. I told her she shouldn’t even ask that question,” my friend exclaimed, visibly annoyed. My friend stopped and looked at me. For me, no question is off-limits, at least at this point in my 6-year-old’s life. He asks with curiosity and never an intent to harm. My friend paused to consider. I knew she came from an alcoholic family and this question was triggering for her. “Maybe that would be okay,” she said. “Maybe my daughter can ask anything.” I knew this was huge for her. Asking a question about violence was not the same as condoning violence. In fact, the question might even open different healing possibilities for her. The conversation reminded me of when I caught my son in the act of doing something suspicious with a friend. It involved wet sandy mud. Turns out it wasn’t just wet mud. It was special mud. And that “special mud” involved my son and his friend peeing in it. My son studied my face when he told me about this special ingredient. I knew he was testing me. I didn’t react negatively, so he continued his story. At one point, I accidentally touched my friend’s pee. But it was my fault. AND, I washed my hands right after. I knew my son had sussed out the situation, took a risk to tell me something, and the risk had paid off. This meant he might take future risks, share future scary things. After all, pee wasn’t the worst. There is no off-limits question in my household. I am open to answering any question. Nothing is off-limits. We talk about genitalia, I answer questions about why my son sees police pull over black men, and we talk about dynamics with his friends. I never shut down a conversation before it has started. Sometimes I’m curious about how the question arose. My son is six and very willing to give source information, but I know this might not always be true. If his question isn’t about harming others or being harmed, I don’t need to know where it came from. Finding out the roots of his curiosity can be very interesting and illuminating. I get out of the way and figure out what he’s really asking. My son once asked me why girls wear pants that are tight enough to show their vulvas. Instead of launching into an answer about sexism or fashion, I got curious about where he’s coming from first. Was this a conversation about clothing? Curiosity about bodies? Questions about gender differences? It’s easy for me to jump into conversations I’ve had a hundred times. For my son, it might be his first time. I don’t need to burden him with the weight of everything. I just need to answer what he needs. Sometimes waiting is better than probing. In my son’s case, I sensed something was happening, but I was also under the impression we’d have a better conversation away from his friend. I know that can’t always happen, but in this case, it seemed to work. If the conversation is important, it will stick around. It also means if I have charge around the conversation, I can process my own feelings before I return to the conversation. If I don’t know the answer, I don’t fake it. I certainly don’t know all of the answers. Thankfully, Google is my friend. If Google isn’t available, then my son will need to wait. In the meantime, he knows that I’ve heard him, and I’m not all-powerful. My son is only six years old right now. Who knows how he’ll be when he’s a teenager. I don’t. I imagine he’ll want a much clearer private life where he isn’t disclosing all of the details to me. But for now, I’m building a foundation of open communication between us. 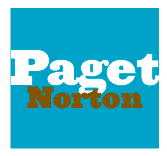 c) 2014 Paget Norton. All rights reserved.. Travel theme. Powered by Blogger.